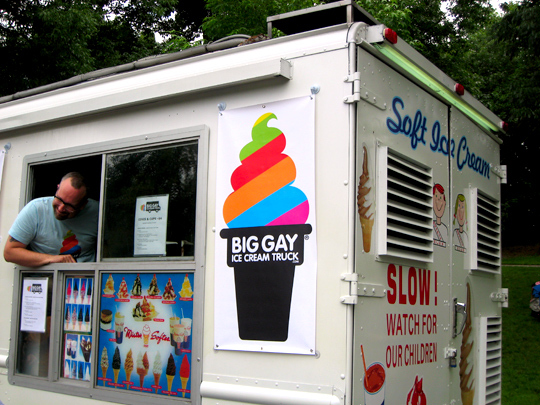 Today marked the opening of The Big Gay Ice Cream Truck, the latest entry in New York City's food truck scene. 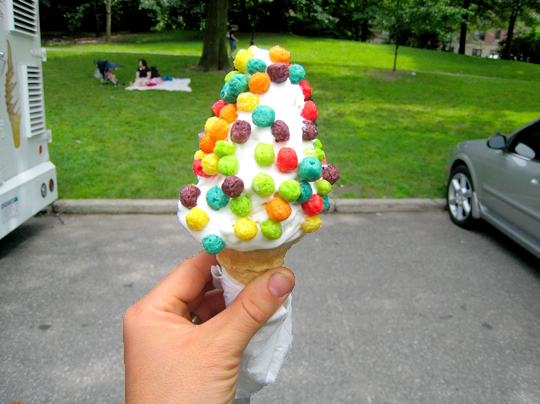 With prime location near the bandstand at Brooklyn Pride in Prospect Park in Brooklyn, The Big Gay Ice Cream Truck's owners Doug Quint and Bryan Petroff were serving up Mr. Softee-style soft-serve, in chocolate and vanilla flavors with standard toppings like sprinkles. 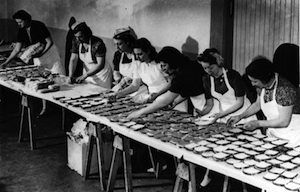 What sets them apart, however, is the great branding and the inventive premium toppings, like Trix cereal. Trix cereal: "They're not just for kids!" and Cayenne pepper: "to spice up your chocolate"
In the near future, they plan on rolling out other toppings, including the ever-trendy bacon, Nutella, olive oil and sea salt, and ground wasabi peas. Doug Quint told Serious Eats "Let's face it, ice cream trucks are kind of queer, and a middle-aged white man driving one is pretty suspect... That's not to say that I'm a rolling hotbed of perversion. Hardly the case. It's all in the name of silly." Quint, a bassoonist, was helped out by Andrea Fisher, a hip-hop flutist, herself a food truck vendor who was profiled in The New York Times back in 2007. Logo design is by Jason O'Malley. They're selling t-shirts emblazoned with the logo (including "husband-beaters") and tracking sightings of the shirts across the country on their website. From pre-opening buzz alone, they've already been asked to appear at events and weddings. 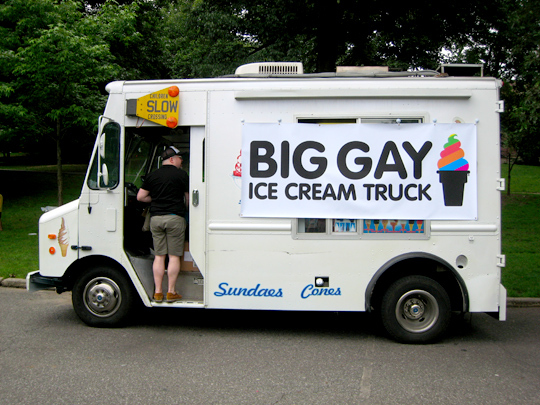 Look for the Big Gay Ice Cream Truck in the West Village and Chelsea, especially late nights around bars and nightclubs. 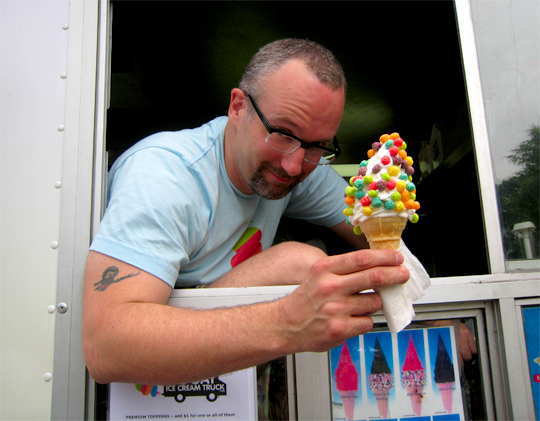 And like any good food truck, they're on Twitter (@biggayicecream) so you can track their location and daily toppings.